Go with what the pros know. 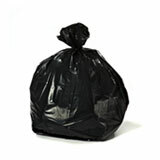 Contractor garbage bags are used at construction sites all over the world to contain the toughest trash around. 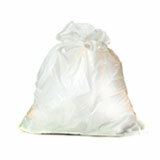 Garbage that would make an ordinary trash bag faint are all in day’s work to these super heavy duty garbage bags. They are 3.0 Mil thick, made from the strongest Linear Low Density resin. 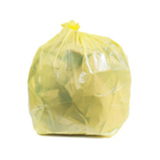 These bags are capable of holding extremely heavy loads containing nails, bricks, drywalling, carpeting, broken glass and more. 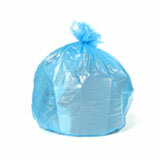 Super thick garbage bags like these are important for keeping your project site clean and safe. 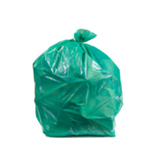 When you’re throwing away or recycling the kind of heavy sharp trash produced by construction projects, the last thing you need is an inferior bag that will fail as soon as it feels the strain. 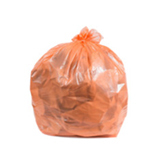 At this thickness we offer the traditional black garbage bags, clear trash bags (which let you see everything that’s being thrown away with just a glance) and orange garbage bags (great for sorting debris into “trash” and “reusable” categories. 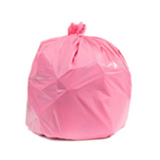 These contractor trash bags are at least as tough as anything you’ll find at a home improvement store, but when you buy them from Plastic Place you’ll find that you’re spending a lot less. 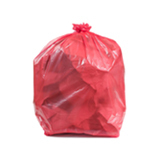 Contractor bags can be pricey, but deciding to purchase wholesale garbage bags helps you keep project costs down. 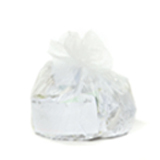 You pay much less per bag, and you don’t have to restock as often, so you can always be sure that you’ve got a supply when you need it. 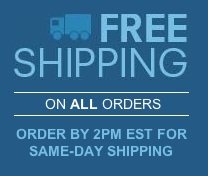 There’s no reason to skimp on quality at these prices, and because we back all of our products up with a 100% satisfaction guarantee, you can order with confidence. 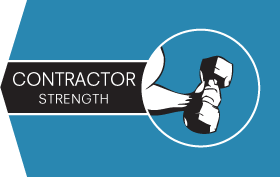 If you’ve got any questions or concerns our experts are only a phone call or click away.